Posted by Nick Prescott on 8 March, 2018. In the old days, we would ask our clients to gather magazine clippings of interiors that they liked. This always made our first meeting easier because they could point to a bathroom or a bedroom to which they aspired. 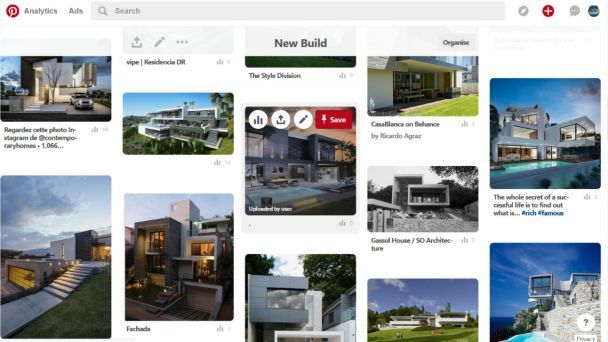 Nowadays, with Pinterest, Houzz and Homify, you don’t need to use scissors; you just need to point and save. Here is a screenshot from our own Pinterest account. 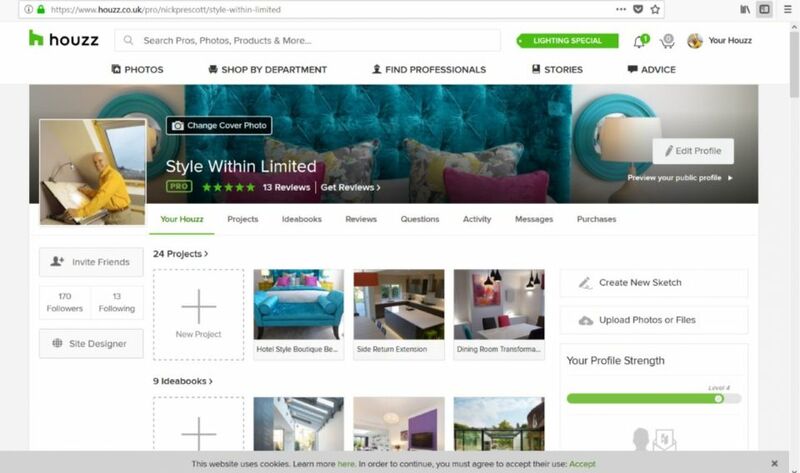 We have similar on Houzz and Homify, but we focus on Pinterest here because it is easier for the general public to use, and applies more widely. As with all these types of website, you do need to set up an account – it’s painless and you don’t get bombarded with spam afterwards. Then you have access to millions of images. 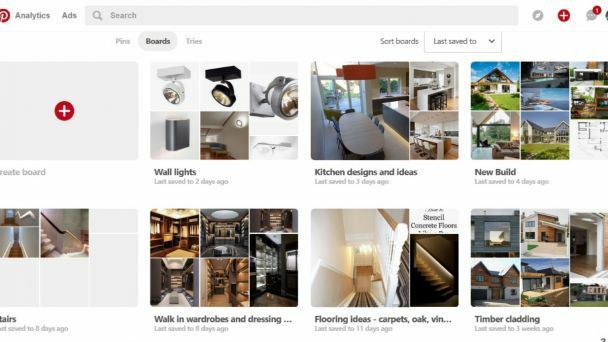 On Pinterest, you organise everything using (pin)boards. You would name each board appropriately then pin photos to each board. Whether it be living rooms, garden sheds or orange shoes, you can create a board and start pinning. So if you are hoping to renovate your house and you like the idea of a gloss grey kitchen, you might create a gloss grey kitchens board and search for “gloss grey kitchens”; then you pin the images that appeal on the board. The beauty of this is that you’ll see floors, splashbacks, lighting, worktops, wall colours and so on that others have combined with their gloss grey kitchen; you can then compare and contrast between the images. Equally, you may decide that gloss grey doesn’t actually look that great; better to realise this sooner rather than later. Having all the options on one board, really helps you to pick the bits you like and the features you wish to avoid. Whilst you are on the Pinterest site and selecting from photos already on Pinterest, you just hover over an image and the save option appears automatically. You can then decide whether or not to save that image to your chosen board. 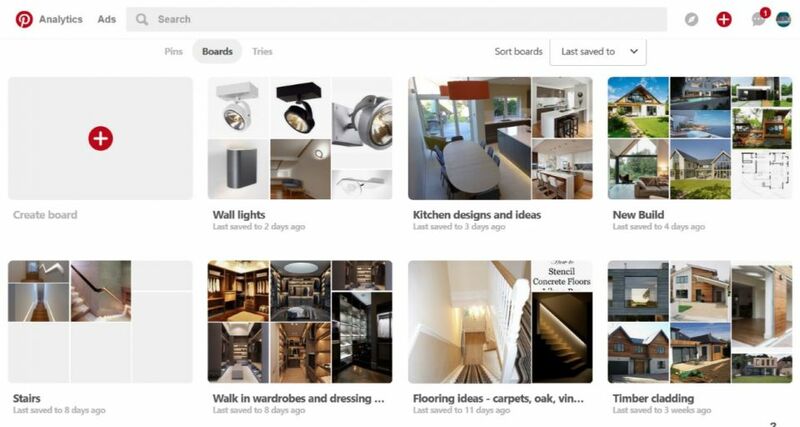 But here is where Pinterest goes above and beyond; you can add a Pinterest “button” to your browser and then you can save to your board images that are not on Pinterest. You do need to check that the button is compatible with your browser (it will tell you if not), but then the world-wide-web is your oyster. This also works with the Pinterest app on your tablet – you just need a couple of finger taps and the photo is saved to your chosen board. Pinterest operates an algorithm that records what you are interested in and occasionally sends you ideas of a similar theme. This is useful, as the site is doing some of the work for you, but you can turn this off if you wish. 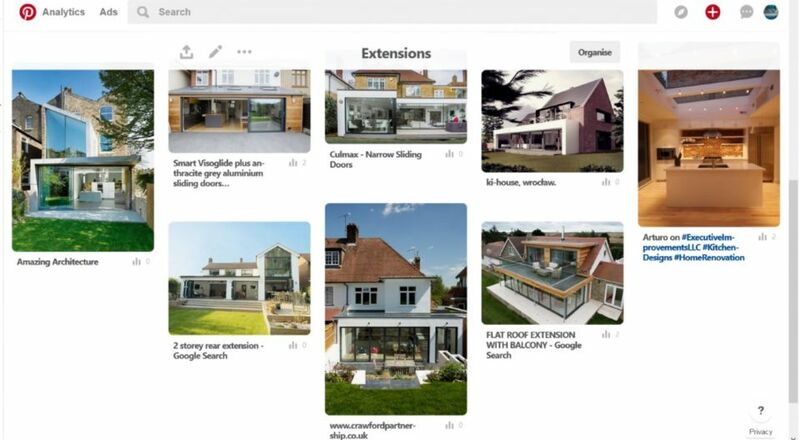 Houzz and Homify operate in a similar way; they are dedicated to buildings and interiors, whereas Pinterest is unlimited. 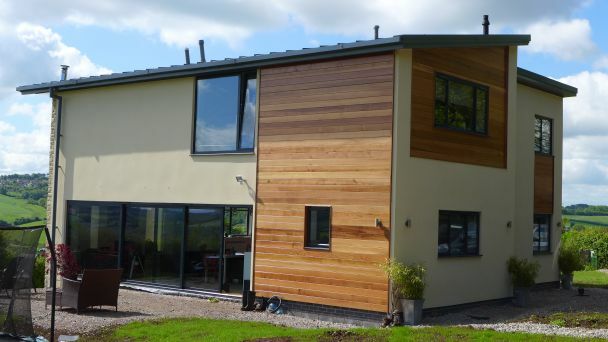 Houzz and Homify are a bit more protective of their images so we’ve only been able to save Houzz photos on our Houzz boards for example. However, their quality is generally excellent, so you may get a better selection of grand interiors from these sites. Just go online and see what you think. As professional interior designers we find the facility to share ideas invaluable, using Pinterest and the other sites. One of our clients fancied a white kitchen with yellow splashback recently, so we put together a board showing images in this combination and sent a link across so he could see some real examples. Whether you are just looking for general ideas, or have a specific renovation in mind, consider using Pinterest or these other sites to help you make your choice.